Mega Man, like you've never seen him before. First, we got a Sonic the Hedgehog live-action movie. Now, we're getting a live-action Mega Man movie, thanks to Capcom. Announced via press release, Capcom has confirmed that a film based on the popular platforming series is indeed coming, written and directed by Henry Joost and Ariel Schulman, tentatively titled Mega Man. 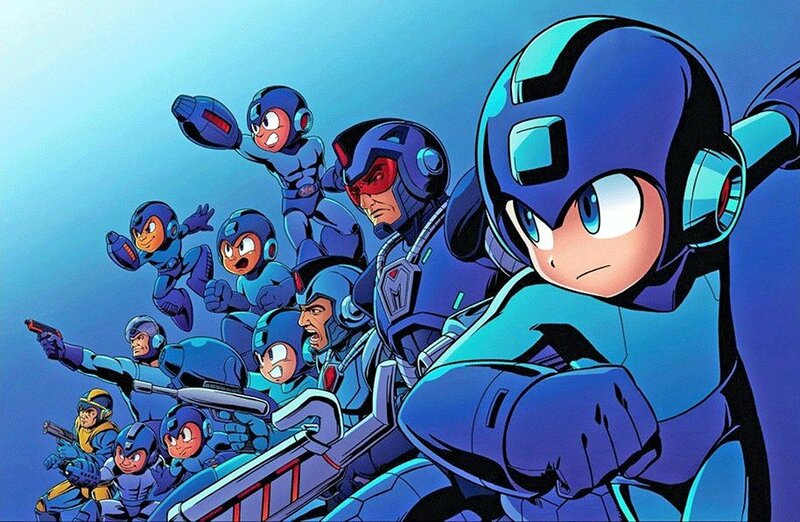 The movie will be produced by Masi Oka from Heroes, and will be based on the Mega Man franchise, but the magical phrase "Capcom aims to appeal to a diverse audience" rears its ugly head in the announcement itself, citing "not only game players but action movie fans as well," so that seems like a major warning flag for what the movie might actually include. There's not a lot of information here about what the movie will be about, so unfortunately all we've got at the moment is supposition. The film is part of a strategy that Capcom is implementing with its already wide library of original content, and this all comes in tandem with the release of Mega Man 11 and the recent animated series based on the Blue Bomber himself. However, that animated series is pretty awful, and we saw how Resident Evil's film adaptations turned out. Only time will tell how the Mega Man movie will actually be, so until then we'll have to hope that it's not some truly terrible abomination.